PHOTO: A community group is steadfast in their opposition to the development. TTN Summary: VICTORIA’S Macedon Shire Council are pursuing plans for an $8m upgrade/development of the famous Hanging Rock tourist attraction. The council claims that the site needs to be developed because dwindling visitor numbers, but protestors say the council’s own documents prove visitation has written steadily. The Age report below this ABC Radio story says the council report does indeed show increasing visitation. The Age story is from October 2014. CHRIS UHLMANN: The 1975 film Picnic at Hanging Rock put a geological formation on the national and international map. The nationally significant landmark has become is the focus of a bitter dispute over plans to establish a conference and accommodation centre there. The local council says a major tourism facility is needed to fund long overdue infrastructure upgrades and much needed environmental works. But opponents say the rock’s unique and fragile ecology would be damaged by the development, as would the rock’s beautiful vistas. They say freedom of information documents show council has a hidden agenda to build a resort at the rock and has misrepresented the figures to justify its proposal. RACHEL CARBONELL: The film Picnic at Hanging Rock etched a small Victorian landmark into the national psyche, but the unique formation is also revered because of its geological significance. It’s made up of a rare composition of rock found in only a few places in the world and is believed to have Indigenous cultural significance as a ceremonial site. Nearby resident and long-term Landcare volunteer Penny Roberts took AM to the location of the proposed development. She says the reserve is also of great ecological importance. PENNY ROBERTS: It represents a number of vegetation classes that are actually threatened within Victoria because Victoria was so effectively cleared for farming in the early days of settlement. The woodlands around the base of the rock are significant simply because there’s so little of it left within Victoria. And this area that we’re crossing now, you look at it now and it’s fairly dry and inspiring, but come early spring the wildflowers are out en masse. RACHEL CARBONELL: Ms Roberts says the reserve is also home to a rich variety of native animals, many of which are listed as threatened. One of the local shire’s key reasons for proposing a conference facility here is to generate the funds required to look after the sensitive environment around the rock. But Penny Roberts is doubtful about council’s environmental motivations, citing documents locals have obtained under freedom of information. PENNY ROBERTS: Having seen the briefing document for the consultants who prepared the development proposal, it’s quite clear that this was not about the environment. The natural environment strategy wasn’t a referenced document. 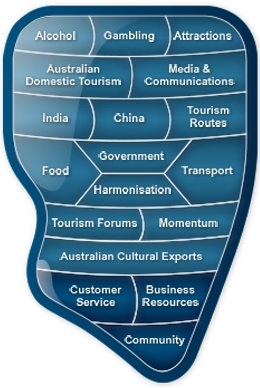 It’s quite clear that it was about filling a perceived gap in the market for a large-scale, up-market conference centre/day-spa, which was identified in a survey of the shire in 2010. RACHEL CARBONELL: Macedon Ranges Shire Council says the development proposal is not at the base of the rock but in the nearby eastern paddock and could be done in a way that enhances rather than degrades the ecology of the area. KYLIE LETHBRIDGE: The estimate is $8.5 million of works required. That includes works to the user facilities, and by that I mean the tennis club, the cricket club, the racecourse, the public toilets, the barbeques – all of which are not 100 per cent satisfactory if you go out there and have a look. The environmental concerns we talk about is pest animals, rabbits, pest plants. RACHEL CARBONELL: Council says revenue from the rock is not sufficient to cover such extensive works, hence the need for a large-scale tourism facility which could deliver a much bigger and more reliable income. It says while events such as big music concerts have boosted overall visitor numbers, regular visitor numbers are down. Mayor Roger Jukes says there has been some confusion in the community about these figures. ROGER JUKES: Certainly you have to take them in context and what they represent. And it takes a bit of work. You know, I’ve been a councillor for six years now so I understand what to look out and what to look for and to ask a member of the community to come in and read a report and understand it straight up is a big ask. RACHEL CARBONELL: Penny Robert’s husband Hilary says there has been no confusion – council has simply got the numbers wrong. HILARY ROBERTS: First of all they said outright that the Hanging Rock had been losing money for the last six years. Now that’s false. They’ve actually made profits nine out of the last 10 years. Then they said that the visitation was going down. We’ve got their numbers which we got under FOI and their numbers clearly show visitation has increased over the last 20 years or the last 10 years, whichever one you want to take. RACHEL CARBONELL: The Hanging Rock Action Group has applied to have the whole reserve listed on the Victorian Heritage Register. It was nationally listed until about a decade ago when it lost its registration during heritage register reforms. CHRIS UHLMANN: Rachel Carbonell there. 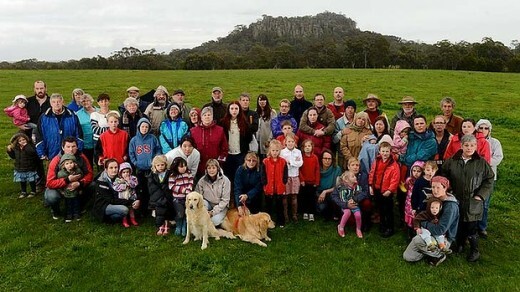 A proposed conference centre and resort at Hanging Rock – including places for yoga and meditation classes on top of the volcanic outcrop itself – is facing mounting community anger. A month after Macedon Ranges Shire Council approved the development strategy for the culturally and environmentally sensitive site, a petition has attracted 4500 signatures and community groups have scheduled an event on Sunday with – naturally – a picnic at Hanging Rock. Members of the Hanging Rock Action Group accuse the council of bypassing community consultation and say the 5.8 hectare development will destroy an important wildlife corridor and its financial justification is flawed. Published on the council website, the plans include 100-room conference accommodation, a restaurant, a day spa and apartments in an area known as East Paddock – former grazing land acquired in 1992 – beside the famous rock and its neighbouring racetrack and sports facilities. A ”nature-focused adventure facility” is proposed at the rock’s base. ”Why would you want an adventure playground when kids come here so they can run around and climb rocks?” said action group spokesman Hilary Roberts. Current permanent structures include a cafe, a discovery centre and parking, a barbecue and toilets at the rock, and adjacent racing, cricket and tennis facilities. Council CEO Peter Johnston says all require upgrading, in addition to pest and weed control and revegetation, before private investment is sought. The $8.5 million upgrades are in addition to $3 million improvements under way, two-thirds funded by the federal government. Critics say low-key development is part of the allure of the shire’s most popular tourist attraction, depicted in the book and film Picnic at Hanging Rock. In a bulletin, the council defended ignoring its own community consultation framework, saying private investment was the only suitable option. Hanging Rock costs $300,000 to $400,000 a year to maintain. The council’s 2012-13 annual report shows increasing visits and above-budget user fees, up 6 per cent to $370,000, with the rock’s reserves up 43 per cent to $323,000. It calculates the attraction’s economic benefit to the region at $11 million, $9.2 million generated by two Bruce Springsteen concerts in March. A spokeswoman for Minister for the Environment Ryan Smith said the government was ”not contemplating joint funding of projects on council land”.